Acualina is a little philosopher dressed in an ancient Greek tunic in the colours of the Cuban flag – red, white and blue. She teaches, gives advice, issues warnings and provides guidelines on how to reduce risks to the environment. Her educational message is broadcast on TV and spread through other means, ranging from stickers to books. This environmental education initiative created by Corvea in the coastal neighbourhod of Náutico, in Playa, a municipality on the northwest side of Havana, just celebrated its 15th anniversary. It is an area plagued by pollution, mainly coming from the mouth of a river, and from an open coast that causes flooding of the sea or the river during extreme climatic events. “This is my way of developing, on a voluntary basis, organisational capacities to protect the environment, and adapt to and mitigate the effects of climate change. We developed this experience in many ways,” the 69-year-old expert, who has received international awards for her work on behalf of the environment, told IPS. Corvea pointed out that in the face of the impacts of global warming, women are not only protagonists, but are also the most vulnerable. “In general, women are overburdened with work and in the face of a disaster, everything is magnified, the care of children and older adults, food and water shortages,” she said. “The sixth sense that they attribute to us is activated with more power than normal and we have no other choice but to act, in the end we end up more tired than men: they are occupied (busy working) while we are occupied (working) as well as preoccupied (worried about and caring for everyone) – we have a double workload,” concluded the biologist, whose awareness-raising messages are tailored to children but also reach adults. 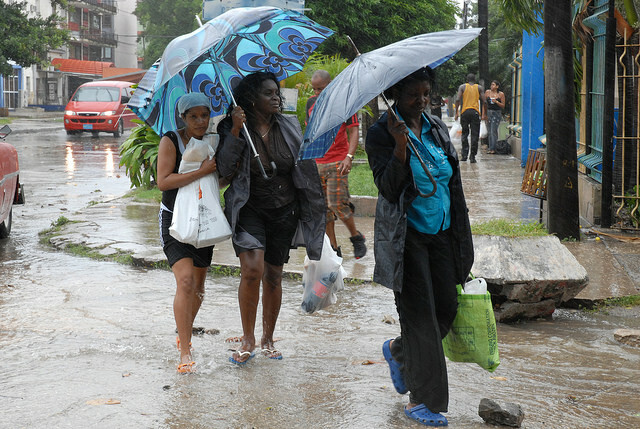 According to official reports, Cuban women currently make up 46 percent of the state labour force and 17 percent of the non-state sector. At the same time, they make up 58 percent of university graduates, more than 62 percent of university students, and 47 percent of those who work in science. In politics, nine of the 25 cabinet ministers and 14 of the 31 members of the State Council are women, as are 299 of the 612 deputies of the National Assembly of People’s Power, the local parliament. The Minister of Science, Technology and Environment has been Elba Rosa Pérez Montoya since 2012. The first head of this ministry, created in 1994, was scientist Rosa Elena Simeón. She was succeeded by José Miguel Miyar Barrueco, Pérez Montoya’s predecessor. 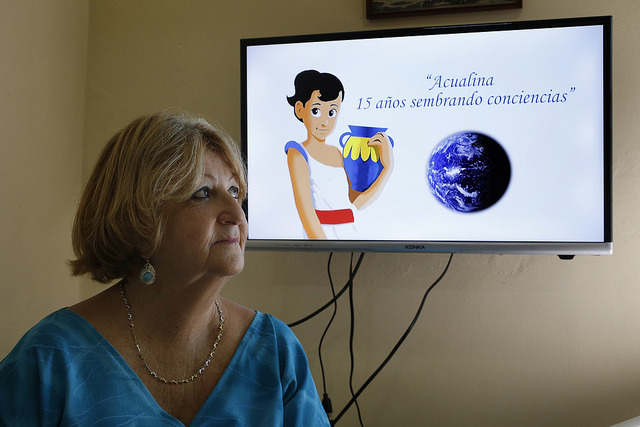 The data point to a steady increase in professional qualifications and in the level of female participation in Cuban society. However, they continue to be more vulnerable to the impact of climate change, which has intensified the force and frequency of hurricanes and exacerbated periods of drought. The response of men and women to this type of disaster is usually different. “Women generally assume the greatest responsibility during evacuations, packing up necessary personal belongings and water and food, often on their own with the children and the elderly in their care,” journalist Iramis Alonso told IPS. “All efforts and conflicts are complicated by disasters, because women in every sense are more vulnerable, both at home and at work, where a machista organisational culture still reigns,” sociologist and academic Reina Fleitas told IPS. In her opinion, disaster management policy should include a gender perspective, because solutions to the problems they generate have to be related to the different impacts and capacities created by people for recovery. 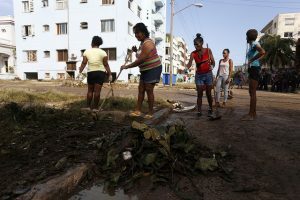 “It is known that the vast majority of Cuban women have double workdays and when a natural disaster occurs their efforts triple,” environmental educator Juan Francisco Santos told IPS. They are the ones who have to prepare the food for the family, “who have to come up with meals, in many cases working magic to figure out how to cook,” she said. In her view, there are several factors that increase women’s vulnerability to the effects of climate change. In the first place, she mentions the domestic role assumed by the majority of women and, as heads of households, they suffer greater tensions in the face of shortages during extreme events. The male provider, the woman (mother) protector, the man guarding the home, the woman in charge of domestic chores, the man “in the vanguard” and the woman “in the rear,” are the stereotyped roles that still remain widespread, he said. “Faced with a natural disaster, we will continue to reproduce the world as we conceive it,” warned Santos. According to the State Plan for Confronting Climate Change, approved by the Council of Ministers on Apr. 25, 2017, officially known as the Life Task, scientific studies confirm that Cuba’s climate is becoming warmer and more extreme. The average annual temperature has increased by 0.9 degrees Celsius since the middle of the last century. Since 1960 rainfall patterns have changed and droughts have increased significantly, and the average sea level has risen by 6.77 centimetres to date. Coastal flooding caused by the rise of the sea level and strong waves represent the greatest danger to the natural heritage and buildings along the coast. Future projections indicate that the average sea level rise could reach 27 centimetres by 2050 and 85 centimetres by 2100, causing the gradual loss of the country’s surface area in low-lying coastal areas, as well as the salinisation of underground aquifers.